A special page to search for entities that have a certain property with a certain value. 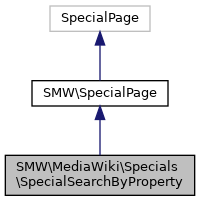 This special page for Semantic MediaWiki implements a view on a relation-object pair,i.e. a typed backlink. For example, it shows me all persons born in Croatia, or all winners of the Academy Award for best actress.